4 weeks of easy, healthy and kid-friendly weeknight dinners. It doesn’t get easier than this healthy one pan meal. Dinner doesn’t have to be stressful or overwhelming. Here are my best tips and recipes to master meal planning for weeknight dinners. I use my basic meal plan guidelines as a starting point each week. One night is roasted or grilled protein with rice or pasta – I make extra and those leftovers become another meal later in the week. One night is seafood, another vegetarian, another is pizza. My busiest day of the week always changes but on that night it’s a low prep slow cooker or Instant Pot meal or something from the freezer. The last rule to dinner meal prep is always have some sort of vegetable (raw or cooked) or salad with dinner. It doesnt have to be fancy or composed, even a bowl of carrot sticks or cucumber slices will work. Here are 4 weeks of weeknight meals to help take the guess work out of dinner prep. 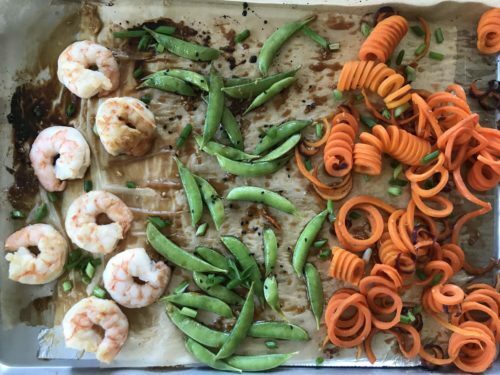 Preheat oven to 450-Line a sheet pan with aluminum foil and a piece of parchment paper. 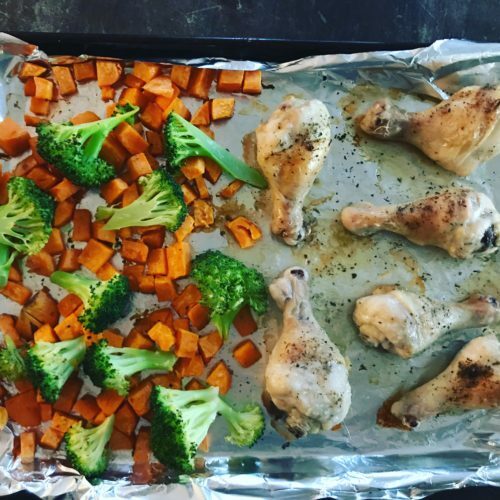 Place drumsticks on one side of the sheet pan and the sweet potatoes on the other. Season everything with olive, salt, pepper and seasoning mix. Place in the oven and cook for 25 minutes. Open the oven and add the broccoli on top of the sweet potatoes; cook for an additional 10 minutes. Allow to cool for 10 minutes before serving. 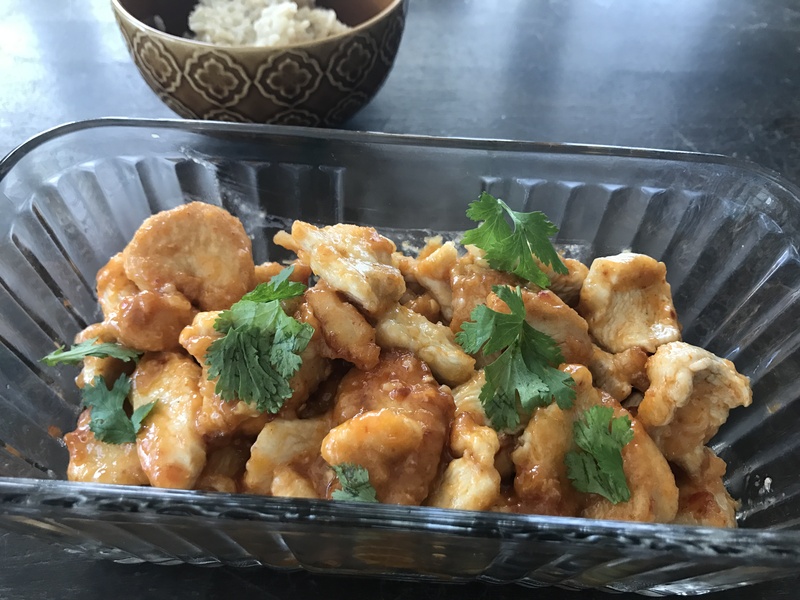 This 15 minute chicken dish is better than take out – and better for you! Hang up the phone and make this for a satisfying weeknight dinner. If you aren’t a fan of spicy sauces, use teriyaki sauce instead. In a blender combine Sambal Oelek, water, vinegar, garlic, sugar and salt. Blend until sugar is dissolved, about 30 seconds. Transfer to a small saucepan and bring to a simmer. Allow to cook for 10 minutes to thicken; turn off heat and set aside while you prepare the chicken. Place chicken and cornstarch in a resealable bag; seal and shake to coat. Heat oil in a large skillet over medium-high heat. Shake off excess cornstarch and transfer pieces of chicken to the skillet. Allow to brown in both sides, cooking time will be about 6 minutes total. Add chili sauce, reduce heat to medium and cook until chicken pieces are cooked all the way through, about 8 minutes. Top with fresh cilantro and serve with brown rice. 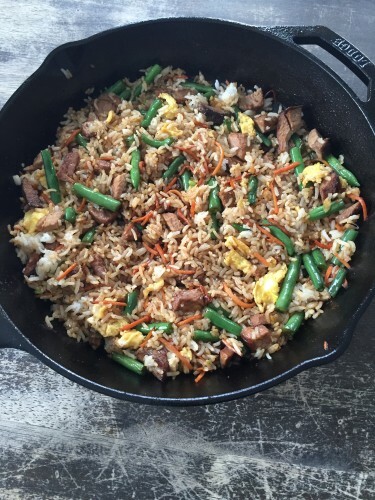 I’m proud to say this recipe has been approved by family, friends and kiddos alike. 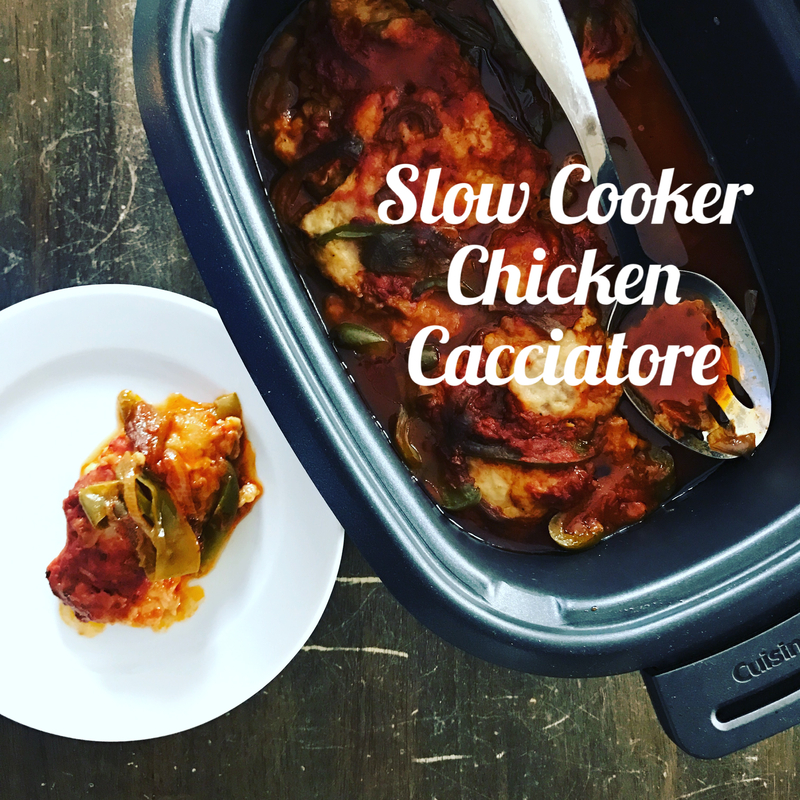 An easy, healthy and tasty chicken dinner where the slow cooker does all the work! Serve with pasta, polenta, potatoes or some crusty whole grain bread. Place flour and salt in a large resealable back. Add chicken and toss to coat. 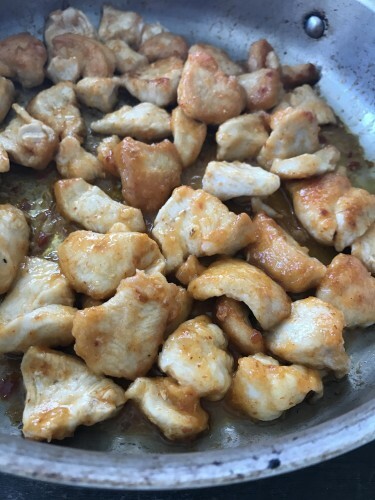 Heat oil in a skillet or slow cooker with a browning function. Shake excess flour from chicken and brown on both sides (it takes about 2 to 3 minutes per side). Add marinara, chicken broth, onion garlic, and pepper. Cover and cook on LOW for 8 hours or HIGH for 4 hours. 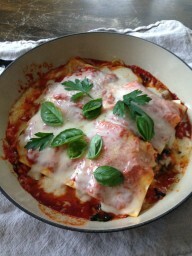 Allow to cool for 10 minutes and taste for seasoning; add additional salt if needed and top with fresh basil. Serve with red pepper flakes and Parmesan cheese, if desired. Some evenings making dinner just seems too overwhelming! 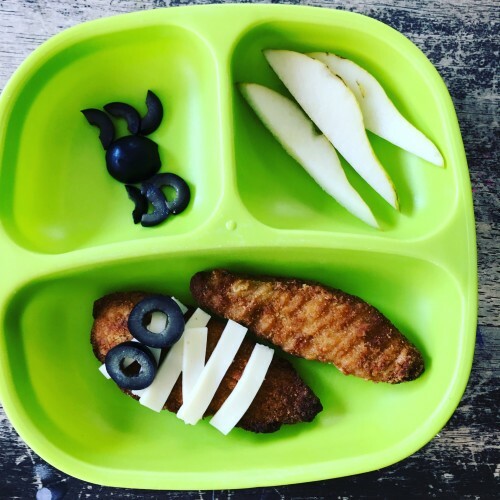 But I’ve noticed that my lack of enthusiasm can easily spill over to my kids’ desire to eat. 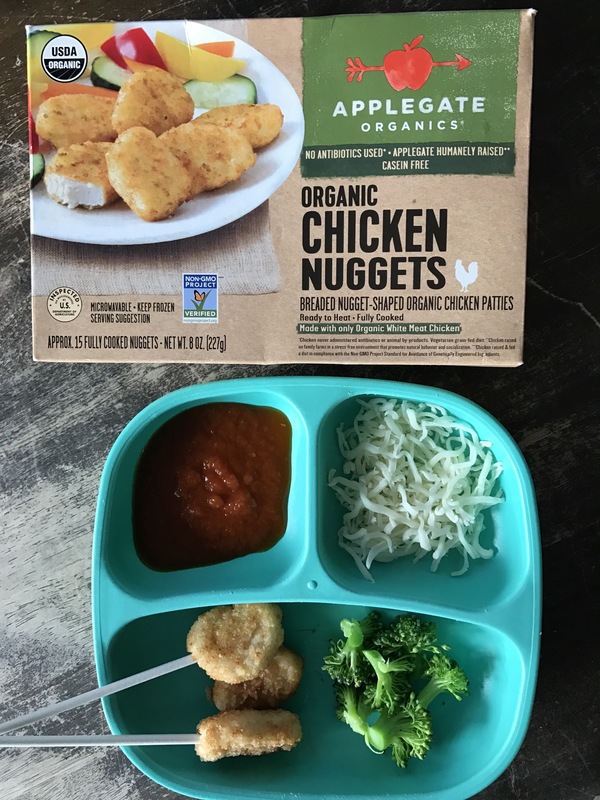 To avoid this dinnertime drama I have a few quick and easy go-to dinner options that come right from the freezer. I’ve partnered with Applegate to give you some fresh and fun ideas featuring their new line of Non-GMO Progect Verified Organic Chicken Nuggets. Whole grain bread, apples and baby spinach make these tiny sammies colorful, filling, and kid-friendly. Food tastes better with eaten on a lollipop stick (according to my kids, anyway). Serve skewered nuggets with sauce and cheese for dipping. 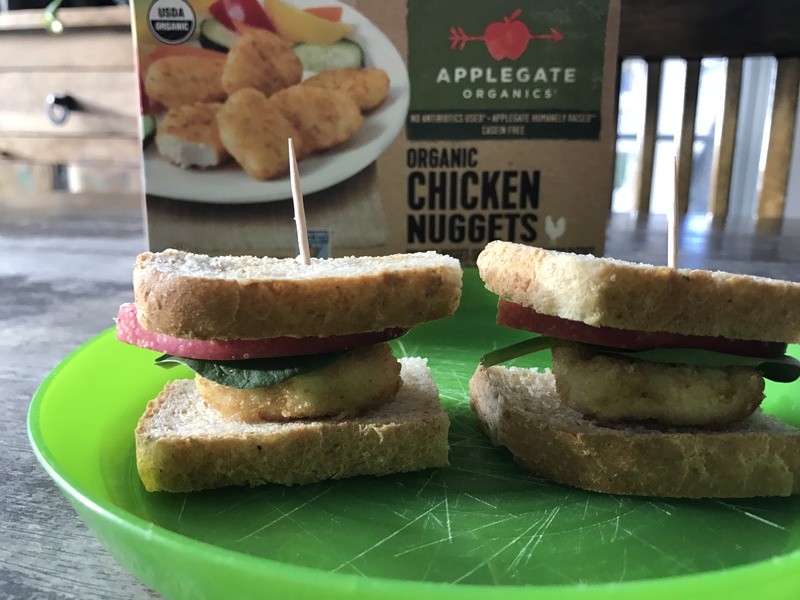 Transform chicken (here I used Applegate Organic Chicken Strips) into fun characters with a few healthly add-ons. Mummies for Halloween, Rudolph for Christmas; I’ve even make a bikini out of lettuce and cherry tomatoes in the summer. The kids will sprint to the table to see what you’ve created, or better yet – let them in on the decorating. Playing with food is ok sometimes! The only thing easier than making this healthy, high protein recipe is the clean up. No pots, pans or utensils required. If an outdoor grill isn’t an option, use the oven or a cast iron skillet. Place each piece of fish on a piece of heavy duty aluminum foil (or a double layer of regular foil). Top each with 1 tablespoon of olive oil, lemon slice and basil; season with salt and pepper. Fold in edges of foil to create a packet. 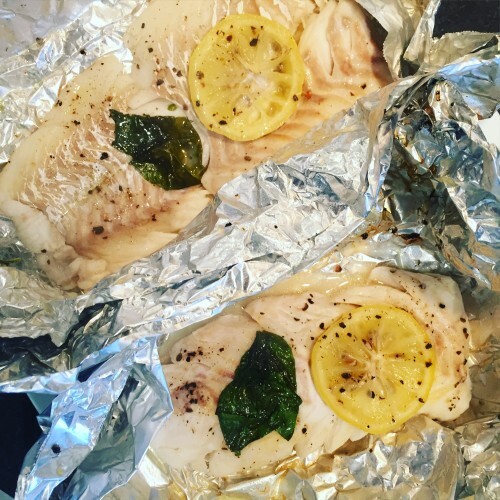 Place packets on a hot grill for 10 minutes or until fish is opaque. Allow to cool for 5 minutes; serve with fresh lemon slices. 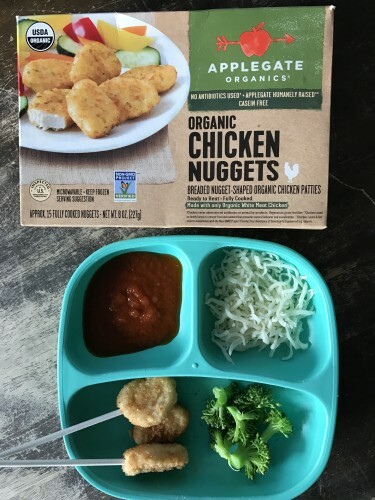 I’ve always wanted to try this and was shocked how easy and delicious it came out. This is a veggie version but you can add any of your favorite meat fillings to the mix. 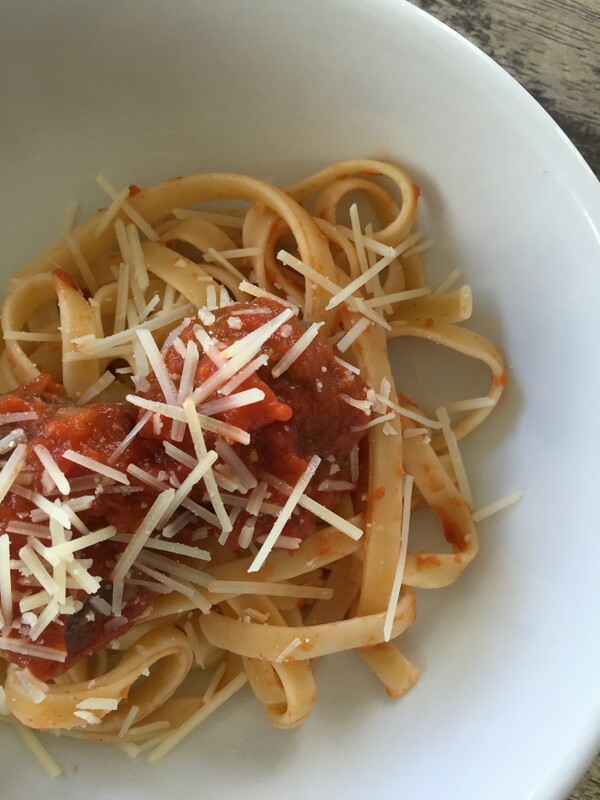 Combine mozzarella and Parmesan in a small bowl, toss and set aside. In a separate bowl, gently mix ricotta and egg; season with salt and pepper and set aside. Heat 1/2 cup of marinara sauce in the bottom of a skillet over medium-low heat. Add 2 lasagna noodles, then top with half of the vegetables, a few spoonfuls of sauce, followed by half of the ricotta mixture, then one-third of the mozzarella mixture. Make the next layer with 2 more noodles, remaining vegetables, a few more spoonfuls of sauce, the remaining ricotta, and an additional one-third of the shredded cheese. For the final layer use the two remaining noodles, followed by remaining sauce and shredded cheese. Cover and cook for approximately 20 minutes, or until cheese is melted and noodles are tender. Allow to cool slightly and garnish with fresh basil before serving. 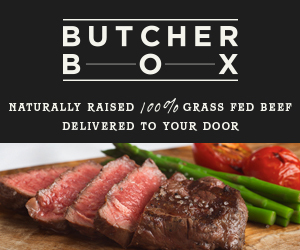 I’ve recently partnered with ButcherBox. To learn more and order grass fed beef to your door – click here. 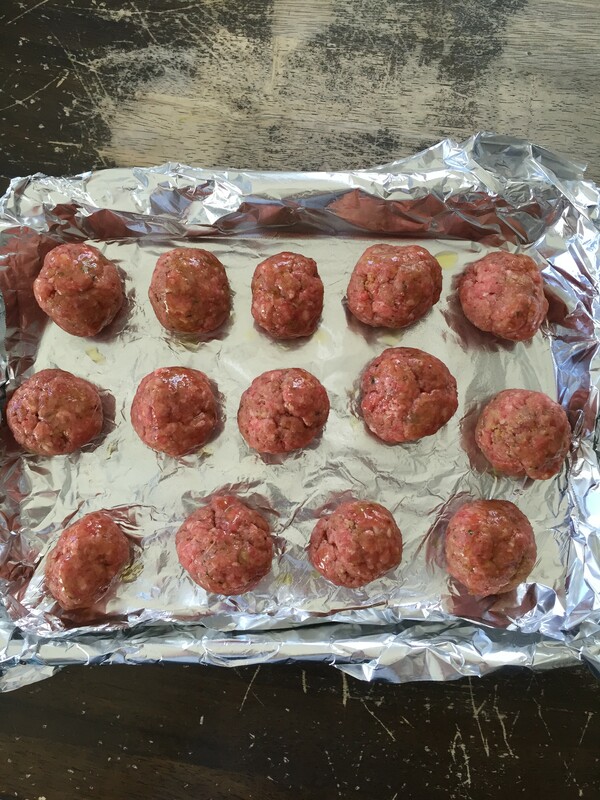 One of my favorite quick and easy weeknight dinners are these grass fed meatballs. These simple meatballs are baked so there’s less grease and the natural flavors of the meat shine though. a large bowl, combine ground beef, egg, bread crumbs, and pesto; season with salt and pepper. With clean hands, gently mix well and form into approximately sixteen 1-ounce balls. Transfer to baking sheet and bake for 20 minutes or until internal temperature reaches 155-160 degrees F. Serve with pasta and my Basic Tomato Sauce. I always have a small amount of buttermilk lying around after making a batch of pancakes. These biscuits come together in minutes (no rolling out sticky dough!) and are perfect for breakfast sandwiches or as side to soup or chili. They only have 100 calories each! Preheat oven to at 400-degrees F. Combine flour, baking powder, baking soda, salt and butter in a food processor and pulse until combined. With the machine running, slowly pour in buttermilk and mix until dough comes together (don’t over mix!) 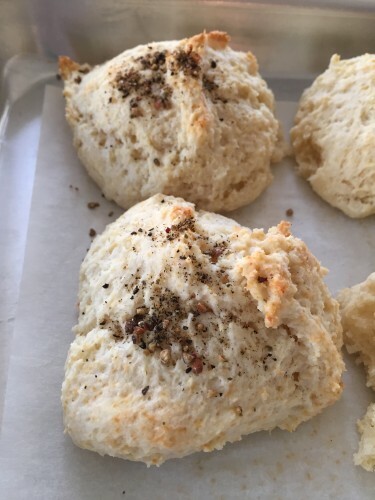 Spoon heaping tablespoons of dough onto a parchment lined baking sheet, sprinkle with cracked pepper and bake for 10-12 minutes, until golden. 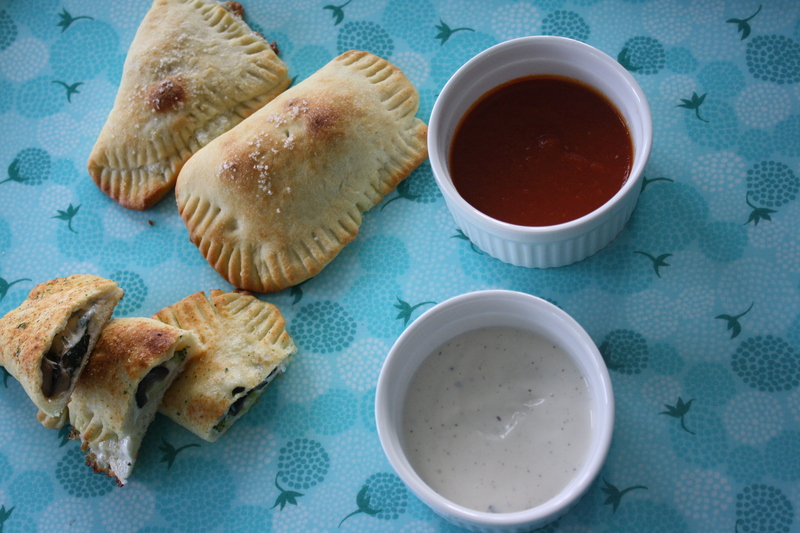 These pizza pockets are always a crown pleaser! Experiment with different fillings and get the kiddos in the kitchen to help with the prep work. Try a veggie version for Meatless Monday. 16 x12 inch rectangle. Using a paring knife or pizza cutter, divide into 8 squares. 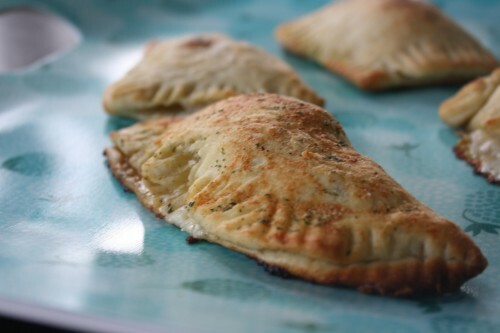 Place a small mound of shredded cheese and vegetables in the center of one piece of dough. Gently fold over the filling, creating a pocket and crimp the edges closed using a fork. Using a paring knife, poke 2 small holes in the top of the pocket to allow steam to escape. Transfer to a baking sheet and repeat with remaining pieces of dough. Brush each pocket with oil and bake for 10 minutes until golden brown; allow to cool for at least 10 minutes. Serve with dressing and sauce for dipping.